Hailed as “un jeune chef très talentueux” by Radio-Canada, Kevin Zakresky is a conductor living in Vancouver, British Columbia. He has recently been appointed conductor of the National Geographic "Symphony For Our World," debuting the concert in San Francisco's Davies Symphony Hall on Earth Day, April 22nd 2018. This season sees him conduct the NatGeo Symphony in Chicago, Cleveland, San Jose, Limerick, Monterrey, Columbus, Buffalo, Minneapolis, Madison, Ann Arbor, Edmonton and Calgary. From 2016-18 he was conductor of Zelda: Symphony of the Goddesses, a tour that saw him conduct orchestras throughout North America, South America and Europe. Recent Zelda performances include London - to conduct the Royal Philharmonic Concert Orchestra in Wembley Arena - as well as Montreal, Philadelphia, Miami, Los Angeles, Dublin, San Francisco, Columbus, San Antonio, Charlottesville, Fresno, Santiago, Buenos Aires, Birmingham (UK), Toronto, Seattle, Portland, Salt Lake City, Oklahoma City, Calgary, Edmonton, Vancouver and Pittsburgh. 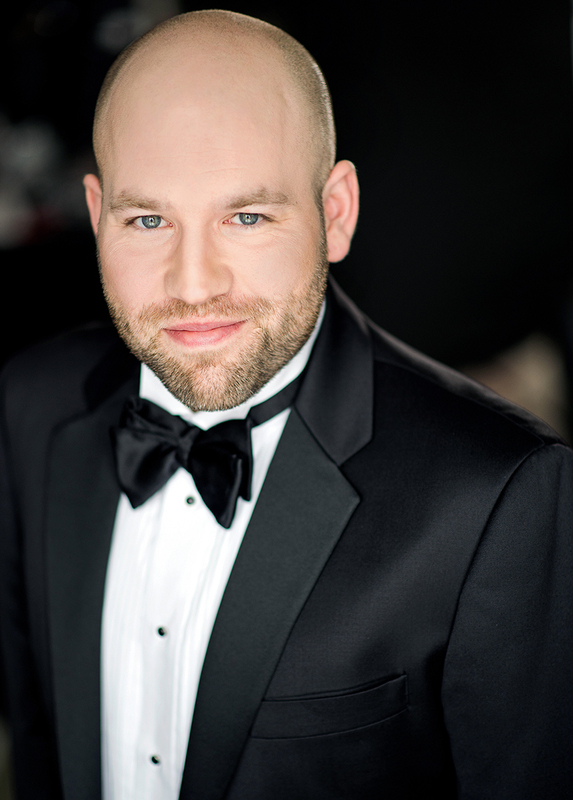 He is the past Music Director of the Prince George Symphony Orchestra and Pacifica Singers (an ensemble affiliated with the Vancouver Chamber Choir) and has recently conducted the St Louis Symphony, Calgary Philharmonic, Vancouver Chamber Choir, Sudbury Symphony, and West Coast Symphony. In 2017 he guest conducted the Fort Worth Symphony in "rePlay: Symphony of Heroes," a concert of favorite video game music. In August 2017 Zakresky launched Players and Singers, a Vancouver-based ensemble that performs dramatic choral, orchestral and operatic works. Recent performances include Dido and Aeneas, Blow’s Venus and Adonis, and Britten’s The Little Sweep. Next season will include works by Lully, Purcell, and G&S. During his tenure with the Prince George Symphony Zakresky presented soloists Jane Coop in Schumann’s Piano Concerto, and violinist Dale Barltrop in Ravel’s Tzigane and Vaughan Williams’s The Lark Ascending. The Prince George Citizen called his performance of Orff’s Carmina Burana with the Vancouver Chamber Choir “the best show the PGSO had ever done... a rare and breathtaking night.” He also conducted symphonies by Tchaikovsky, Brahms, Beethoven, Mozart, and Haydn, and premiered twelve works by emerging British Columbia composers. Another highlight of his time in Prince George was the establishment of a partnership between the Orchestra and the Khat’san First Nation drummers. In December 2013 Zakresky made his CBC/Radio-Canada broadcast debut, conducting Monteverdi, with the Vancouver Chamber Choir and the Vancouver Chamber Orchestra, a performance held at Vancouver’s Orpheum Theatre. Zakresky received a Doctoral degree in Choral Conducting at Yale University in February 2012; at Yale he won the prestigious Aidan Kavanagh Prize for Distinguished Intellectual Achievement and was director of the University Chapel Choir and assistant conductor of the Yale Camerata. His major teachers were Marguerite Brooks and Simon Carrington, and he coached with Helmut Riling and Stephen Layton. He regularly offers master classes and workshops in Western Canada and is a recent winner of the BC Choral Federation’s Youth Music Award. From 2010 to 2012 he was assistant conductor of Chor Leoni Men’s Choir, and the Founder-Director of Chor Leoni’s “MYVoice” program, a choral experience for young men in the the Vancouver area. He is a past member of the faculty of the innovative Vancouver International Song Institute, served on the faculty of the BC Choral Federation’s Choral Directorship Course, and has held teaching positions at Douglas College and Simon Fraser University. Since 2013 Zakresky has taught voice and music history at the Vancouver Symphony Orchestra School of Music, in addition to directing their choral ensembles. He has sung in the Festivale de due mondi in Spoleto, Italy, volunteered for Musicians without Borders in Bosnia and Herzegovina, and led choral workshops and clinics in Hong Kong.